As of next spring, Finnair will begin flying from Helsinki to Los Angeles, California – direct. Thrice weekly frequencies to LAX begin March 31, 2019 and will be Finnair’s first US route permanently using the new Airbus A350 aircraft. But besides all that, you can fly this route using points and there’s plenty of availability. Los Angeles may be best known for sunshine and films, but it’s also one of the largest business travel and cargo hubs in the world. By contrast, Helsinki is cool and calm, but there is demand to fly between the two destinations. And what many don’t realise is Helsinki is closer to LA than it looks on a flat map. Due to it’s higher geographical location, a northern route to Los Angeles offers travellers from Scandinavia, Russia and Northern Germany a more convenient option. The approximate flight times are expected to be 10 hours and 30 minutes to Helsinki and 11 hours to LAX. For those who enjoy something a little different, the Finnair A350 is an experience. Business Class is famous for having a reverse herringbone layout design which gives travellers more privacy and a greater sense of space. With a neutral color scheme seat and divider, featuring the slightly garish cushions and extras, it has been refered to as IKEA-air but this is a bit of an over reaction. If you’re on a plane for 11 hours, Business Class on the A350 is the way to go. But the best piece of news here, is the reward seats. While we’re used to seeing desirable flights with only one of two reward seats offered, the Helsinki to Los Angeles route with Finnair has plenty of space and there are several ways to secure a seat. How many points you need to fly depends on who you with. American AAdvantage members need just 57,500 miles to go one way, and there are no carrier-imposed surcharges. You could also do the same leg with Alaska Miles 70,000 miles, which is a little more. 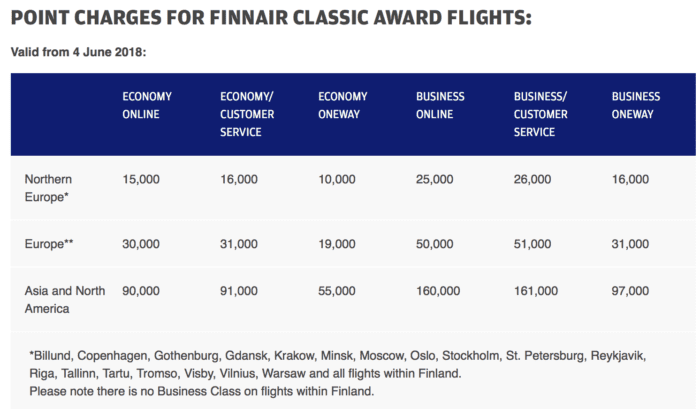 If you’re already with Finnair Plus, a Business Class seat will set you back 160,000 points – an economy just 90,000. But whether you’re paying in cash or paying miles (or both), we’re happy to see the new additon. Finnair is the only Nordic carrier with a 4-star Skytrax ranking, and it’s won the World Airline Award for Best Airline Northern Europe the past nine years running. Los Angeles will also be the fifth US destination for Finnair. It currently offers flights to New York, Chicago, San Francisco and Miami – all bookable with miles and reward points.